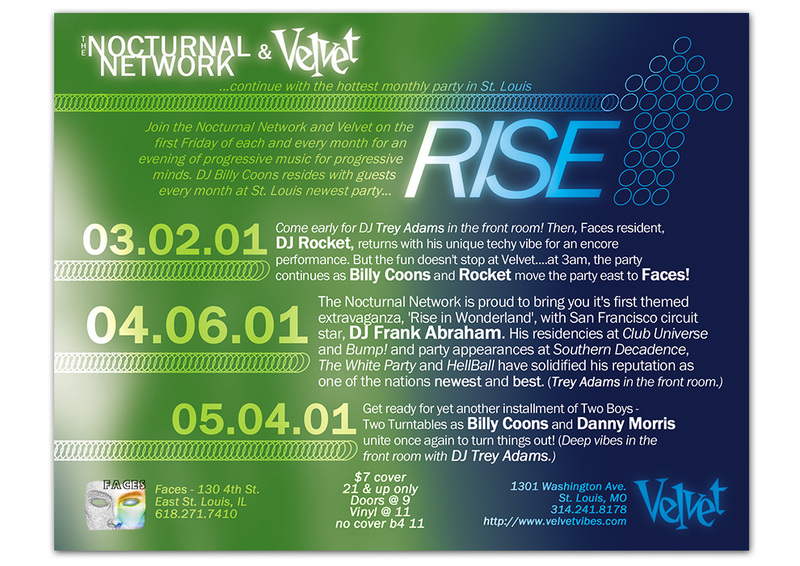 The Nocturnal Network was a collective of people – including me – that promoted club events in St Louis. 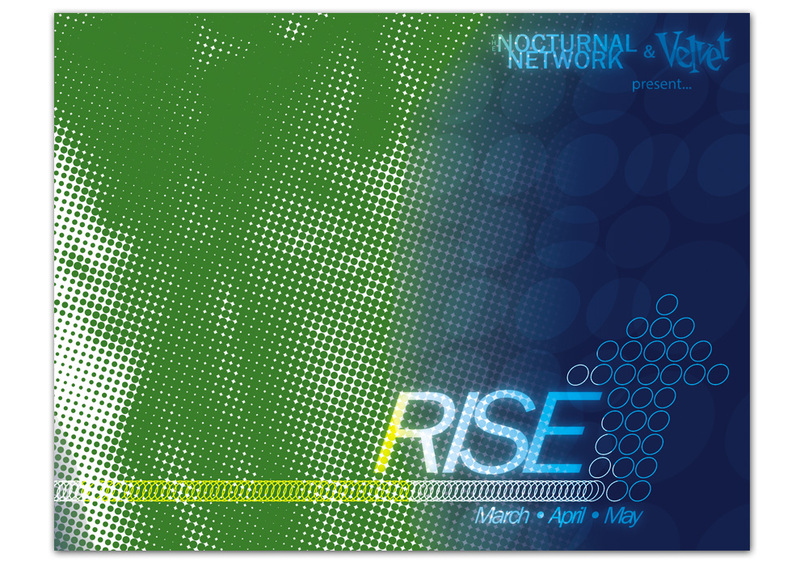 The first series of events that we produced were called ‘Rise’ and featured monthly parties and guest DJs. 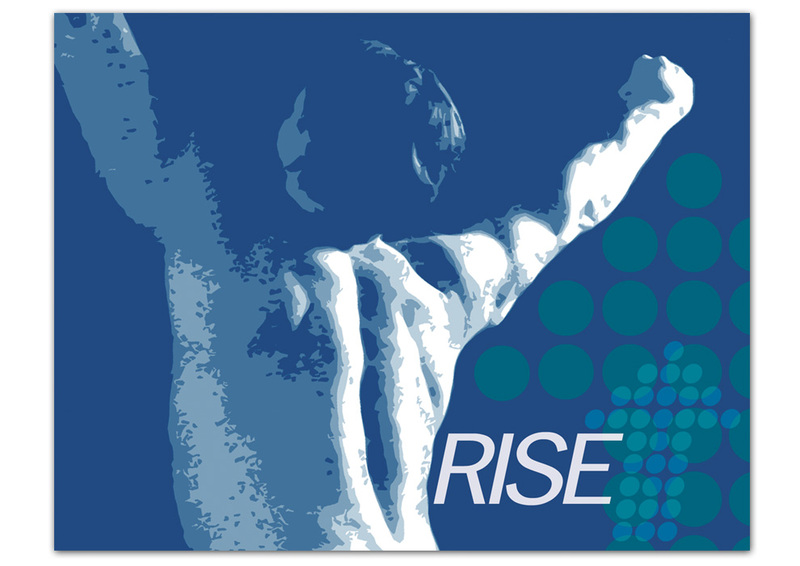 My responsbilities included DJing, booking, and all of the design and marketing. 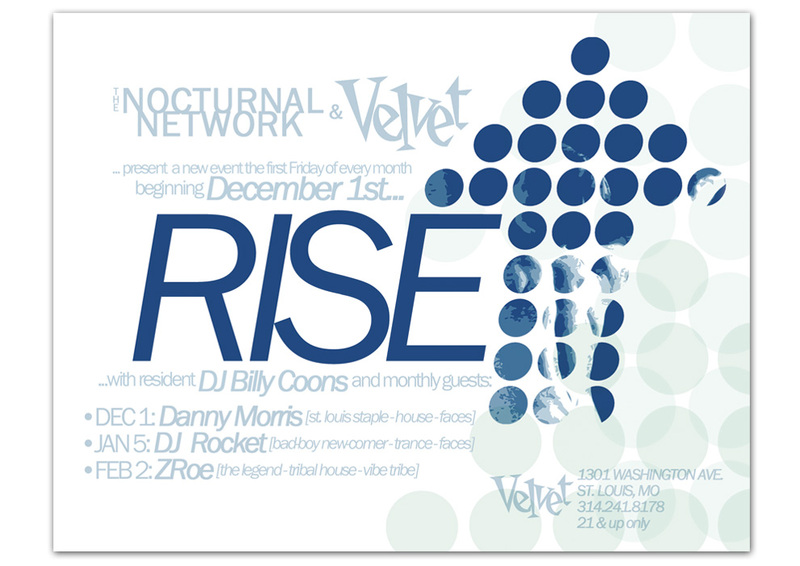 My time with the collective was not only extremely fun, but also allowed me to create a lot of fliers, posters, websites and learn a lot about freelancing. 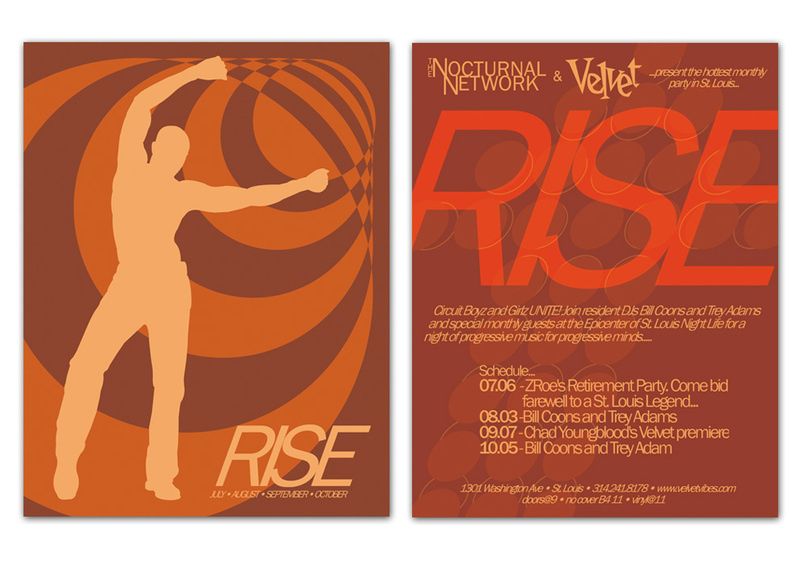 The logos for The Nocturnal Network and Rise were also created.